In most cases, you may prefer to write your content in Microsoft Word instead of on the WordPress editor. However, copying and pasting the content to the WordPress editor distorts the format and may install weird objects. In this step by step tutorial, you will learn how to import your Microsoft word .docx file into WordPress directly. Note: This method only works for the new Word format (.docx) and not the older format (.doc). Once installed, head to your WordPress editor and you will notice the Mammoth .docx converter at the bottom. You now need to have a word document ready for import. 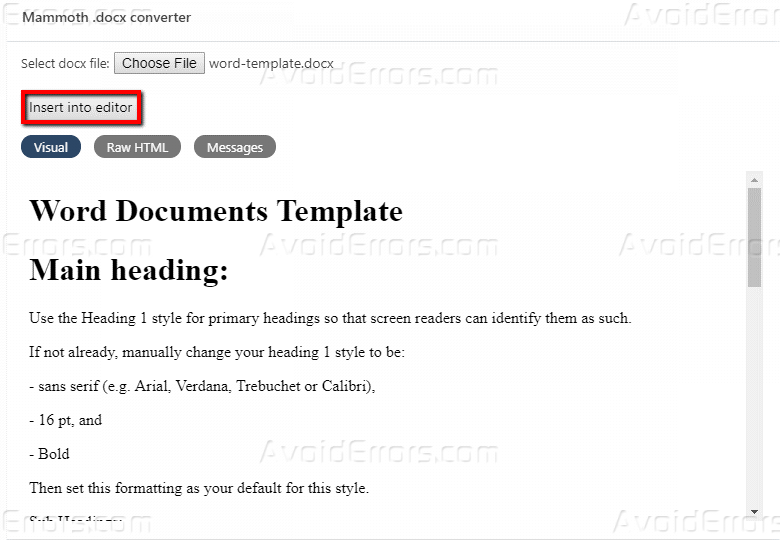 The word document meant for import should be well formatted, e.g., headings should be specified. Hit the ‘Choose File’ button then choose a file from your local machine. 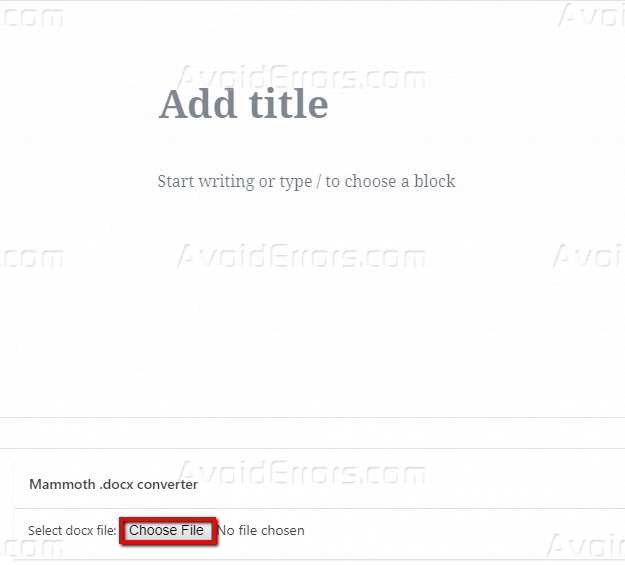 Note: The Mammoth .docx plugin does not edit your document in any way. You cannot edit on the preview section. 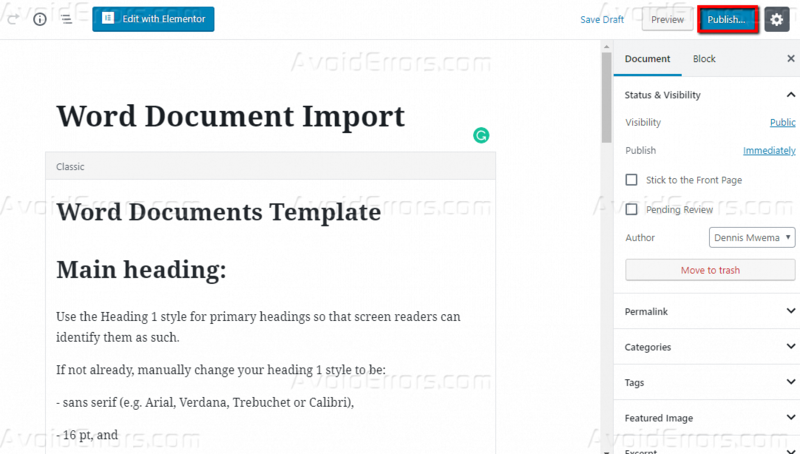 You can either edit your raw imported word document the re-upload or edit in the WordPress editor. 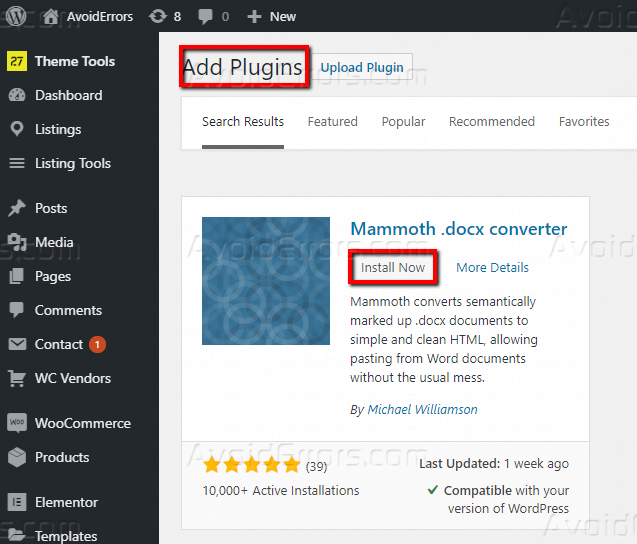 You now know how to directly import Microsoft word documents in WordPress using Mammoth .docx plugin. Please share your feedback on the comment section below.